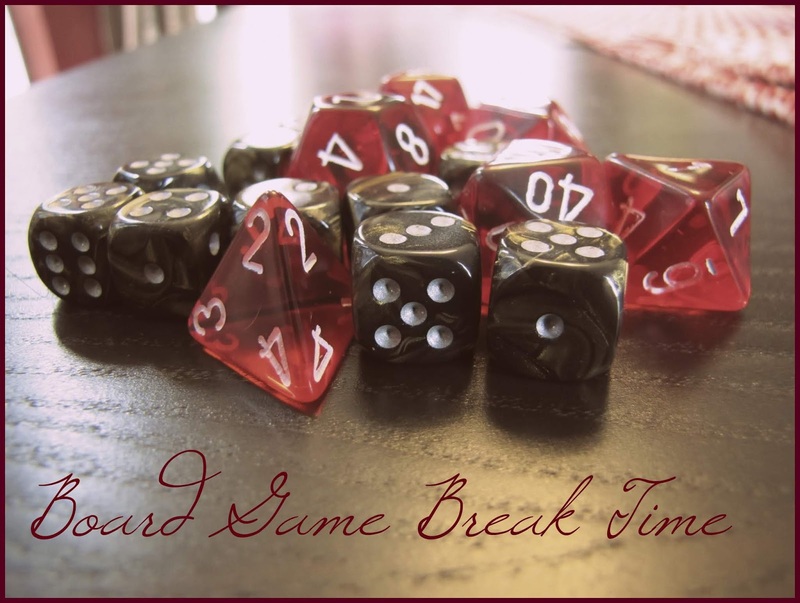 Board Game Break Time is a new feature we're bringing in, where we play board games and review them. This is the second time I have played Evolution. I loved it the first time I played it but it was lacking just a little for a 2 player game. I think for a 4 player game it would be great. So we bought the expansion Climate. This made the game so challenging and engaging for just 2 players. So Evolution is a game of hand management and tableau building to create a species, grow the species in population then evolve them in size and traits. The game becomes tricky when it comes to feeding time or defending time. 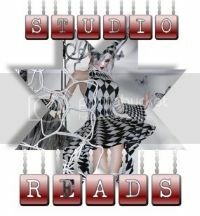 The population can suffer from starvation and attacks, and the species can go extinct. Climate brings in a new variation of climate. Too cold and too hot can effect your species food intake and they may not can adapt to the extreme weathers. So it makes it much more difficult. 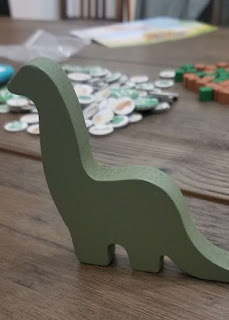 There is a press your luck mechanism too when deciding how to evolve your species, you never know if another player will attack, if there will be enough food, or if the climate will drastically change. All this is decided on with each player and is unknown at the beginning of your turn. So it can get hairy. Michael and I are not aggressive players so we don't use much of the attacking... this is one reason it wasn't that challenging for us as a two player game. The Climate expansion comes in and gives enough of a challenge, we don't need to worry about attacking each other. I can't imagine what the game would be like if we decided to go all carnivore and attack the other. I really enjoyed this game,especially with the expansion. The game is beautiful and is full of colorful fun artwork. The components are really really nice, sturdy and well made. The time of a game is good for two players. I could go with the game a little longer but its plays long enough and often short enough where we want to play again. 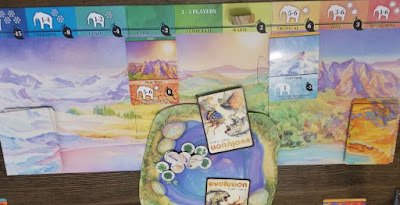 Evolution is a very interesting and fun game with some great artwork and an well thought out theme. The new climate expansion offers some new challenges and some new strategy techniques. 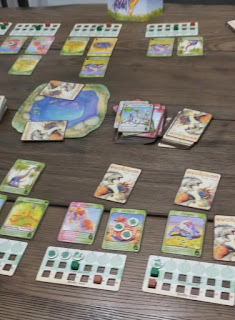 Evolution is a game where you create species and then put traits on them to help build up their abilities and survival skills. Some cards give you options to get food first from bank, or to get food at the same time as your other species. You have to build up your population to get more points at the end, but also have enough food to insure your species doesn't go extinct. 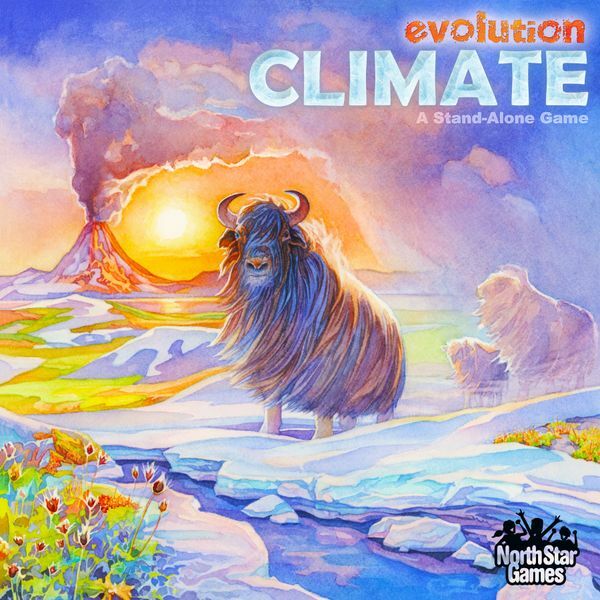 The climate part of the game increases the need for food and adaptions to your environment. As it gets cold you lose food and species if they are too small in body size. As it gets hot you gain food but you lose species if they are to big. So lots of strategic options go into the game. Plus you can choose to go carnivore to go after your opponent to make the game even more difficult. Really like the different aspects of game and would like to see how it plays with more players. 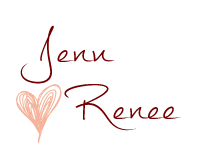 So far only played 2 player with Jenn, but haven't been able to add more players. I recommend this game to all gamers as I think it isn't difficult to learn, but has enough Strategy to challenge the board game geeks out there.